1. 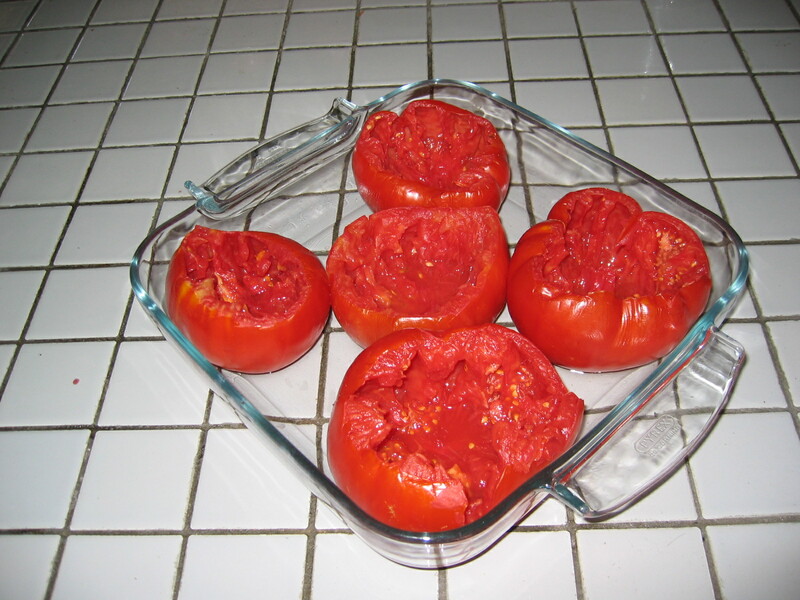 Cut a thin slice off the top of each tomato, leaving a ½ inch thick shell. Scoop out and reserve the pulp. 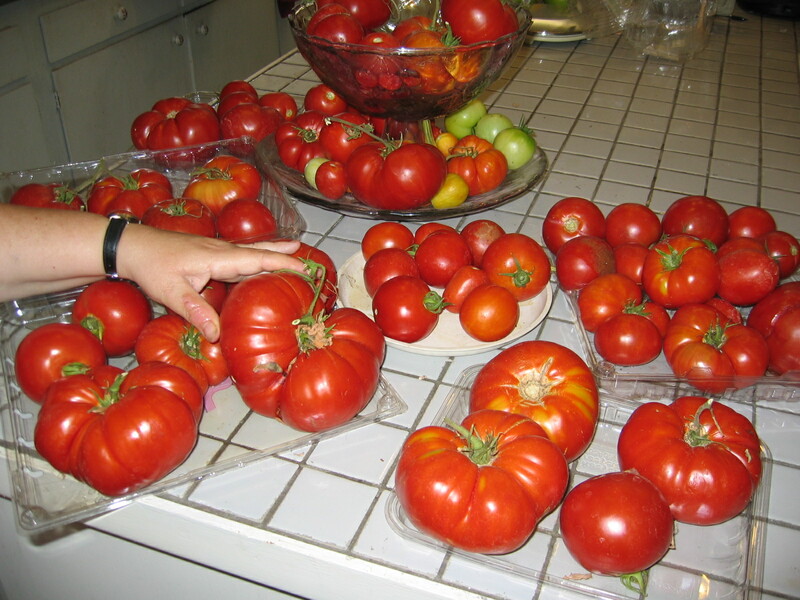 Invert tomatoes onto paper towels to drain. 2. Meanwhile, in a skillet, brown beef in olive oil with onions and pressed garlic; drain. 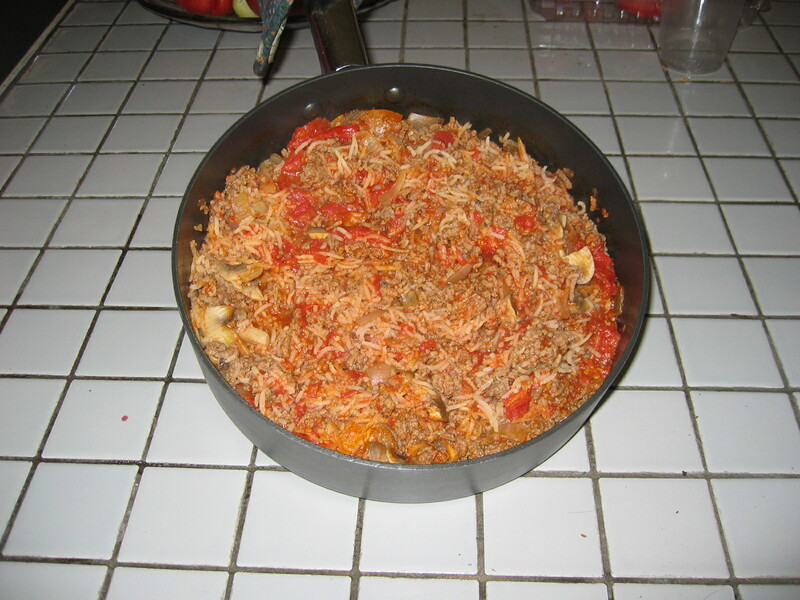 Add tomato pulp, rice, chili powder, oregano, salt and pepper and bring to a boil. Reduce heat, stirring occasionally; simmer 45 to 50 minutes or until slightly thickened and rice is cooked. 3. 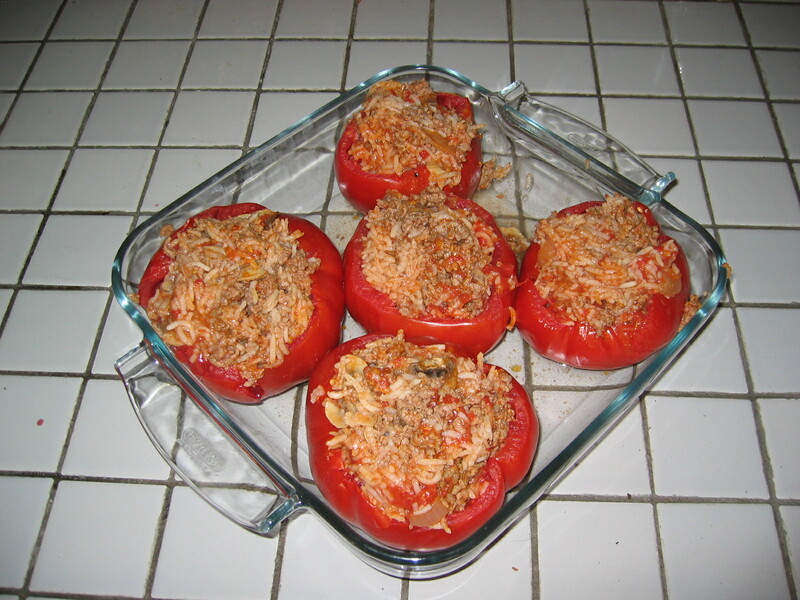 Stuff tomatoes and place in a greased baking dish. Add water to baking dish. Bake, uncovered at 375 degrees F for 20 to 25 minutes.